Our expertly trained team members and polished services strive to meet the desires and expectations of our clients. As we tailor our recipes to each client’s needs, we also tailor our service for your selected venue and special event genre. Chef du Jour caters buffet dinners for groups large and small, both corporate and social; weddings and receptions in outdoor winery settings or intimate houses of worship; corporate events held in garden conservatories or office spaces; holiday and cocktail soirées in unusual venues like private yachts or embellished warehouses; and the most intimate of home-based family gatherings. 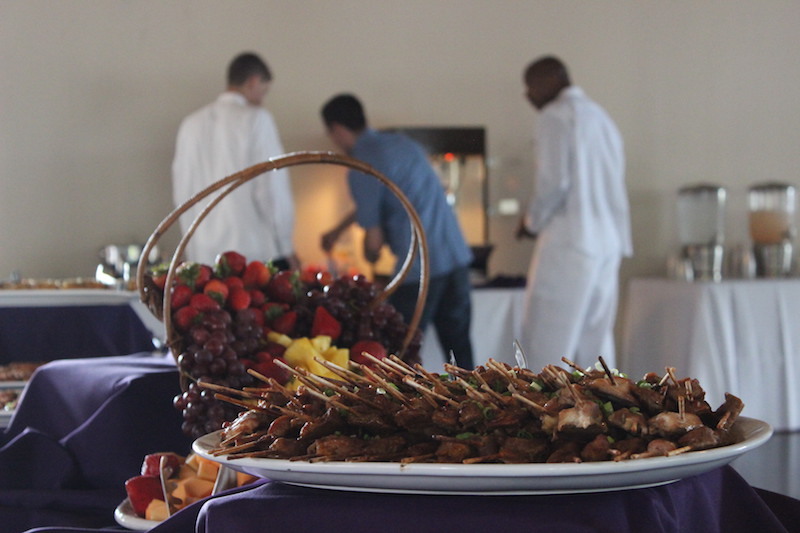 A full-service catering operation, Chef du Jour is fully licensed and provides alcohol, linens, glassware, centerpieces, and décor through our partnership with Interstate Event Rentals. A 50% deposit is required at the time of contract acceptance, with the final balance due by the day of your event. We accept Visa, MasterCard, Apple Pay, Discover, all chip cards, and American Express. Thank you!